Hourglasses PowerPoint templates, backgrounds Presentation slides, PPT Themes and Graphics. Take Free Assortment of Hourglasses PowerPoint Templates, Backgrounds, Themes for PowerPoint Presentations. These are perfect for creating sales and marketing related presentations. 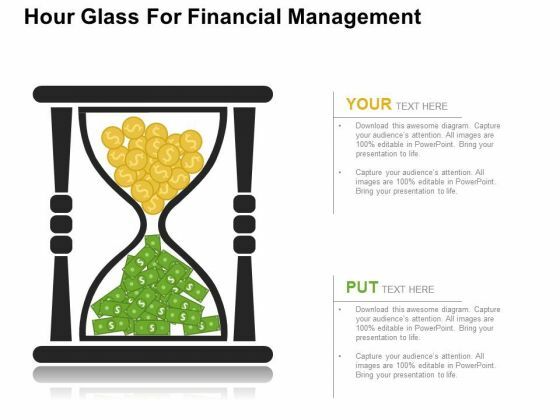 We also have a selection of free hourglasses PowerPoint templates in our free section. Go through our assortment of Hourglasses PowerPoint Templates designed for both businessmen as well as working professionals. We have the largest collection of Templates, icons and graphics which you can just download and use them as per your requirement. The hourglass is one of the oldest gadgets that is still in use. The first reference to it are found in accounts of events before the birth of Christ. A very simple device that gives a fairly accurate idea of time. Used extensively in the middle ages for time management. Obviously the advent of clocks and watches quickly saw their usage diminish. However the hourglass is still in use to time certain procedures. In some cases for the sake of tradition while in others because it is still fairly practical. For example it is used by some as an egg timer. It is also an innovative way to brew a cup of tea. Our Templates are highly conversant with this durable instrument. 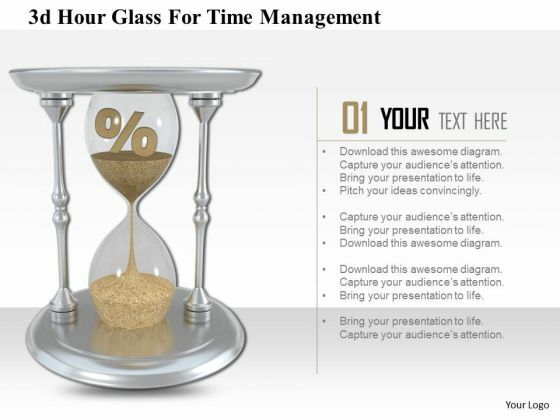 You can trace the history of its evolution with the help of our hourglasses PowerPoint Templates. This image slide displays hourglass with percentage symbol. This image slide may be used to display the time management and profit percentage. Make outstanding presentations using this image.